Manta, sharks, eagle rays and so much more on this classic Maldives itinerary on board the popular Emperor Orion. This is a dive holiday in the Maldives to remember that hits all the seasonal hot spots of North Male, South Male and Ari Atoll. Dive the many channels, drifts and pinnacles, encountering the reef residents as you go. The exact order of things is left deliberately flexible to ensure that no matter what time of year your holiday to the Maldives is, the breathtaking world underwater is unveiled in all its perfection. As all diving takes place from the 19.8m tender dhoni that follows Orion, your liveaboard is pure living space. Your first port of call on board is the sitting area and reception room. Move forwards to the dining area with bar. Dive briefings usually take place here, as well as buffet meals. On the upper deck you will find the jacuzzi, a small shaded seating area Pull up a chair at the end of the day and chat over the day’s diving delights with fellow divers. Chill out in the sunshine on the wide fly deck sun loungers and mattress beds. Dive the wish list destination Raja Ampat with one of Scuba Travel’s hand picked liveaboards. This is the ultimate Indonesian dive adventure, packed with big fish to macro and mind blowing bio diversity. The Raja Ampat Discovery is the dream itinerary if you want to try something new. With so much still to be explored, you can witness new dive sites and undiscovered marine species. Photographers should make this a must see destination. Diving conditions can vary enormously from site to site so it is advisable to be advanced and comfortable with drift dive procedures. 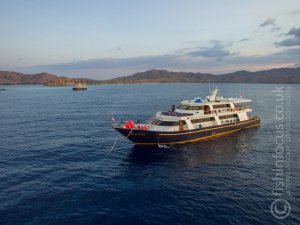 Mermaid II easily accomodates 18 guests, the focus on board is not about opulent luxury, but rather on being dive friendly and comfortable as you cruise the big fish hot spots of Indonesia. She’s a sturdy steel hulled liveaboard. Her crew are experienced in both regions and the friendly welcome you receive on board is just one of the reasons many divers return to Mermaid 2 year after year. Package includes Return flights, 8 nights full board and 26 fully guided dives. Stunning 5 star luxury dive resort, with easy access to over 50 superb dive sites, the variety of diving at Bunaken Oasis resort is incredible. This is a purpose built luxury dive resort and as such, everything you need is right here on site. Choose between 3 boat dives per day or 2 morning boat dives and an afternoon spent exploring the house reef. The team at Bunaken Oasis resort are all experienced dive professionals, having worked at some of the world’s most famous and finest dive resorts. Now they have come together to form a team dedicated to your dive satisfaction, whether you want a guide, a spotter or to continue your dive education. Many visitors to Bunaken Oasis resort are photographers – the dive boats have large rinse tanks and there is a generous camera room on site. Package includes flights, transfers, 7 nights full board in a traditional cottage, 3 guided boat dives a day, free nitrox, free house reef diving. Shark Quest dives the southern Red Sea according to its seasonal best, including the Brothers or Daedalus. The goal? To see more sharks and rays. Dive fewer sites for longer for the most inspiring and exciting pelagic sightings possible. We all love the thrill of diving with the big fish, but timing matters. What you can see and where in the southern Red Sea changes throughout the year. We trust the local knowledge and experience of our dive teams. Building on their know how and recent sightings, they will select one of the big marine parks to dive to give you the best chance of diving with pelagics. This package includes return flights, 7 nights full board, 12L tanks and weights and free NITROX plus day use in a hotel on the last day. 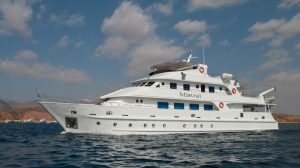 What a fabulous price for this value Red Sea Liveaboard Wrecks and Reefs is the itinerary for any diver wanting to see the best of the Northern Red Sea, no matter what experience level. 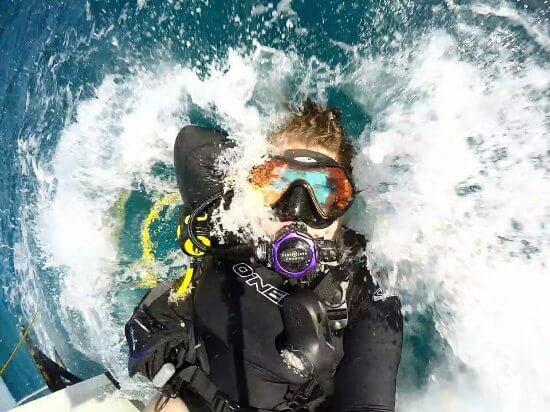 With world class wreck dives and breath taking reef dives every day, why not take a trip to the best of both worlds. Emperor Echo is the latest addition to the Emperor Red Sea Fleet, built for those looking to ‘eat, sleep, dive repeat’, the communal areas are comfy and welcoming and all rooms are ensuite. This package is BOAT only so does not including flight but is for 7 nights full board, 12L tanks and weights and free NITROX plus day use in a hotel on the last day. Stuck on what to get the Diver in you life for Christmas? The elves at Scuba Travel HQ have just the pressie for that special diver in your life. Give the gift of travel with our holiday vouchers. Available in £25 and £50 denominations, these lovely vouchers will look perfect wrapped up under the tree or filling a stocking. Order yours by the 21st of December for Christmas delivery. Simply call 0800 072 8221 and our elves will do the rest. Previous articleJim’s Aqaba Adventure! A Herculean event, it’s plane to see!